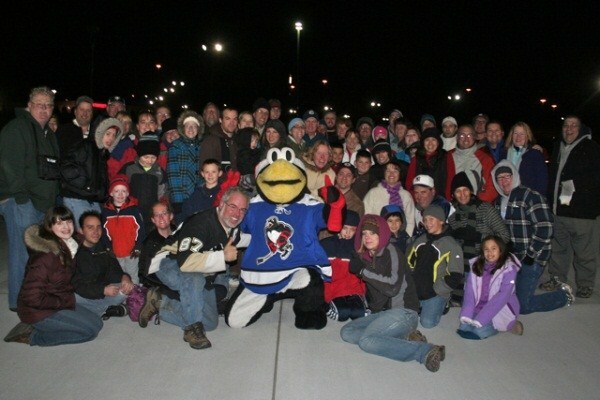 It's a Hockey Night in Wilkes-Barre with the Tri-State Geocachers! You're invited to join the Tri-State Geocachers in a very special deal with the Wilkes-Barre Scranton Penguins on Saturday night, April 13 at the Mohegan Sun Arena in Wilkes-Barre. That night we have a special group rate to see the Penguins as they battle the Bridgeport Sound Tigers (affiliate of the NHL's New York Islanders). For $19/person, you get a game ticket, McDonald's meal food voucher, arena food voucher (good for hot dog, soda, and chips), and a special limited-edition Penguins hat. This will also be Fan Appreciation Night - all fans will receive a scratch-off card to reveal a prize they've won. Everyone wins a prize! 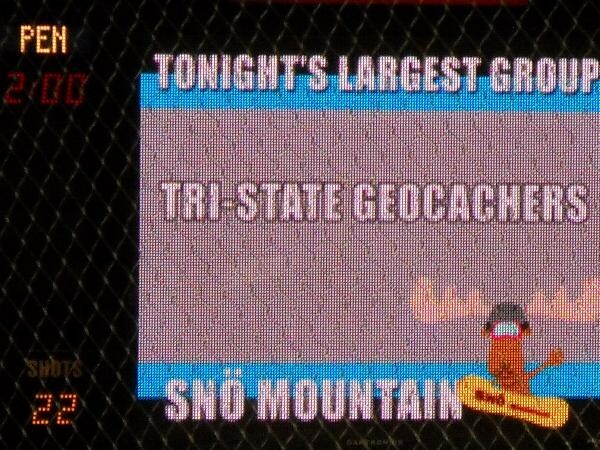 Geocachers will probably want to start the night off by attending our official geocaching event at 5:30pm. Then by taking advantage of this group offer, you can join us for the game. We have a limited number of seats available at this price. Tickets are reserved when payment is received, first-come, first-served. This offer is only good until our tickets run out or we reach our deadline of March 10, whichever comes first. Your tickets are not reserved until your payment is received. Direct any questions to CaptainMath. NOTE: Please check out the Mohegan Sun Arena's security policies that went into effect on January 1, 2019. Get in on the fun... see you at the game!